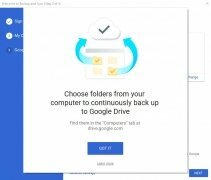 Online cloud storage has become a simple and safe way to save our files and have them always available wherever we go without having to carry around any kind of hard drive or pendrive. 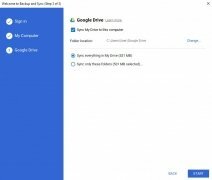 Together with Dropbox and OneDrive, Google Drive is one of the most popular alternatives since it offers its users plenty of advantages. To simplify its use, the company of the search engine has released Google Backup and Sync in order to make the relationship between the user and the online storage platform more comfortable. 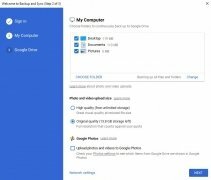 It's a tool that automatically synchronizes the folders of our choice and offers us the chance to take to Google Photos, its online photo and image storage service, all the pictures included in those folders. 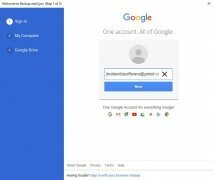 However, you have to bear in mind that the space used is that of your Google user account, the same space you use for your email, Drive, Docs, and other services. Automatic synchronization of all the changes on every single device. 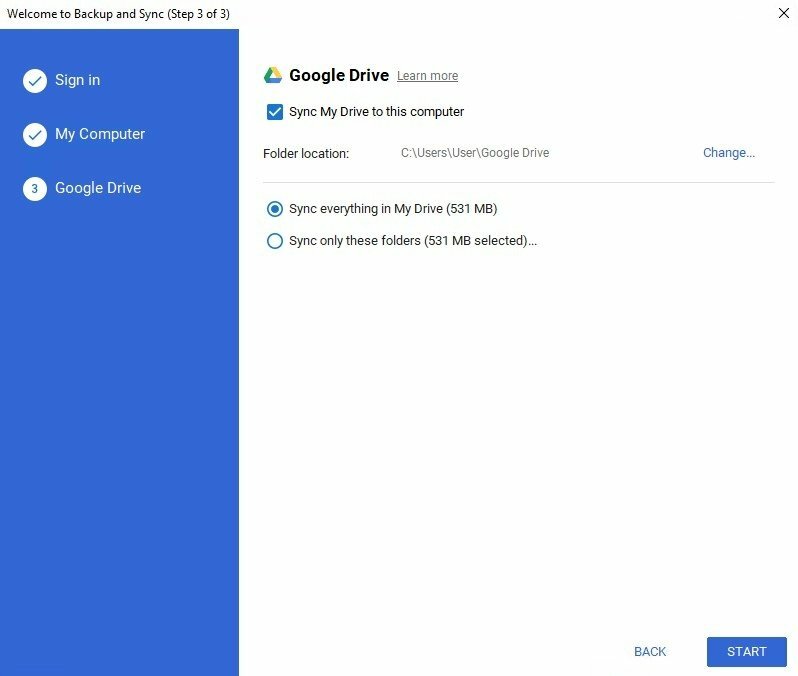 Using this tool offers us advantages that include the management of all our Drive files from our computer. You can open them and organize them, and any change made will be synchronized on all your devices and also the cloud. 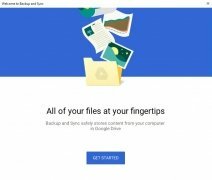 In all aspects, it improves the previous features of Google Drive as it extends its functions to reach more elements. 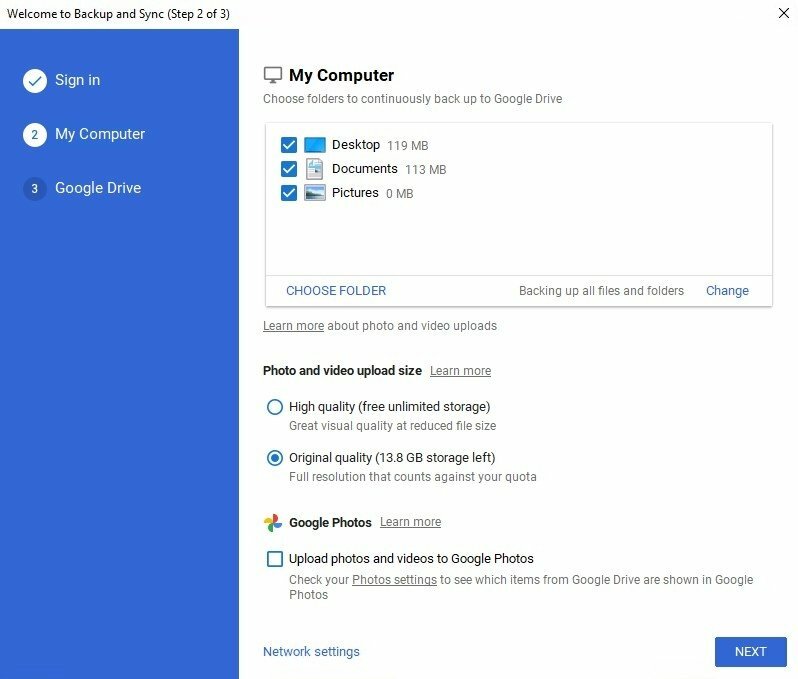 A special mention for the photos as it's usually a headache having to organize our entire collection and this tool does it for us automatically.